The term “cross border cooperation” (CBC) defines the Barents Euro-Arctic Region. For those who wish to have better future and successful career, cross-border cooperation competence is needed in everyday business activity, which becomes a way of life in this region. Interaction of relevant actors such as university (Lapland UAS) and regional authorities (Kolarctic CBC programme) play a significant role in shaping CBC mindset of the future generation. It is therefore taken into account and reflected in the education programmes at Lapland University of Applied Sciences, that already during the first year of the International Business degree programme, students should become familiar with the region, such as Arctic region and Lapland region. That gives them better prospective about the economy and socio-economic life in wider context. When studying project management, it is thought not only as a general method of an efficient management of various endeavors, but it is directly integrated with the perspectives of realities and uniqueness of the Barents region, which can be characterized as a region of intensive cross-border cooperation practices. The Barents region is very diverse and similar place at the same time combining 4 different countries with 4 different languages, but sharing common problems and interest. The Barents region is featured as peripheral regions being geographically located on a distant from centres. These regions are in need to receive a special attention and support in such fields as economic, social and territorial cohesion. Thus, the ‘special attention’ had often punished the border regions by turning them into the ‘weak spaces’ that became the structural feature for many of them. However, by transforming Barents region into border regions makes it a common zone of cooperation with wiliness of local actors to cooperate, exchange their knowledge and know-how. The border as itself is very context dependent. It can serve as a physical “line on the ground” in the context of the border management security, dividing one nation state from another or put it within the frame of identity belonging, it assist individuals to identify their belonging to the particular community, language society and common history. However, the perception of border in the border region context is changed. Rather than being the line of geographically separating the territory and dividing one national identity from another – ‘us’ from ‘them’, to the space of cooperation and exchange. The CBC is implemented within the EU and outside of EU’s external borders by managing problems that go beyond of border regions of one country. The CBC utilises borders for regional/national development as well as for exchange in various sectors such as economic and cultural fields. The border in the Barents Region serves with the purpose of cooperation rather than dividing one nation state from another. It becomes a symbol of cooperation. The CBC provides possibilities that would not be available without the border and becomes a symbol of cooperation. The CBC in the Barents Region has a historical feature, population for ages have been motivated to overcome borders in order to cooperate within common interest and solve common problems. Thus, the CBC in the Barents Region has become the way of leaving since it serves with the purpose of cooperation rather than necessity just to overcome the border. Thus, it is seen as a crucial issue to approach the CBC into the education programme studies. 5 ECTS Cross-Border Project Management course is an example of such approach where the real life context is directly reflected into education process. 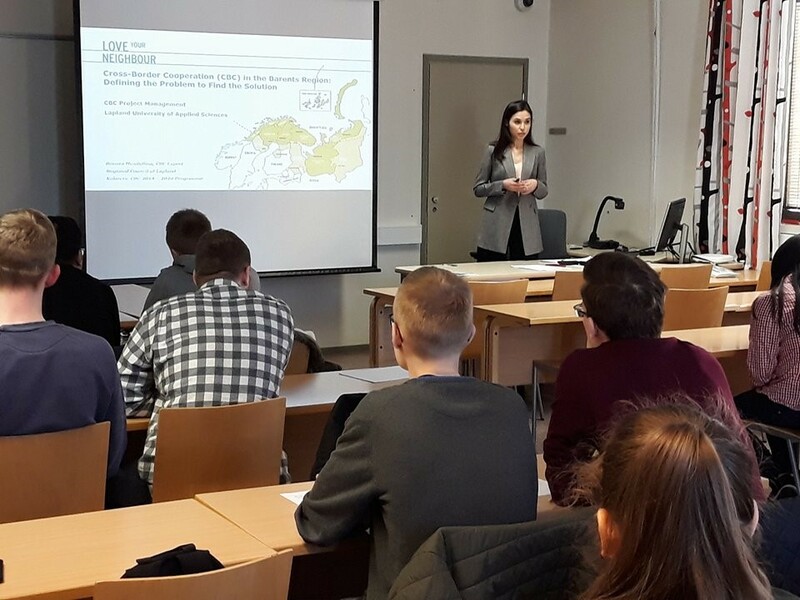 It has become a tradition that experts from the Kolarctic CBC Programme come to the classroom not only to give the presentation about the particularities of the European Union funding and ENI financing instrument. The Kolarctic CBC 2014-2020 Programme (ENI financing instrument) is one of the example of the territorial cooperation initiated by the EU, where Finland, Sweden, Russia and EU cooperate on the equal basis. The Kolarctic Programme provides financial support to implement CBC projects by addressing challenges in the Programme area, which covers almost the same regions as the Barents region. It is already the second programming period, where the first one 2007 – 2014 has been successfully implemented by financing 51 CBC projects. It is already an ongoing practice that representatives of Kolarctic CBC programme, Regional Council of Lapland eagerly cooperate with Lapland UAS and together prepare real-life cases in order to carry out a workshop where students work on real societal, environmental and socio-economic problems of Barents Euro-Arctic Region. This workshop is led by the experts from the Kolarctic CBC programme. The most urgent regional problems and challenges are introduced and discussed. Moreover, it is emphasized that many of these challenges are common to all Barents region countries and thus need to be solved jointly. For instance, air pollution as a problem can not be eliminated by drawing the border, pollutants do not disappear just because there are national borders and so it is with many similar problems. 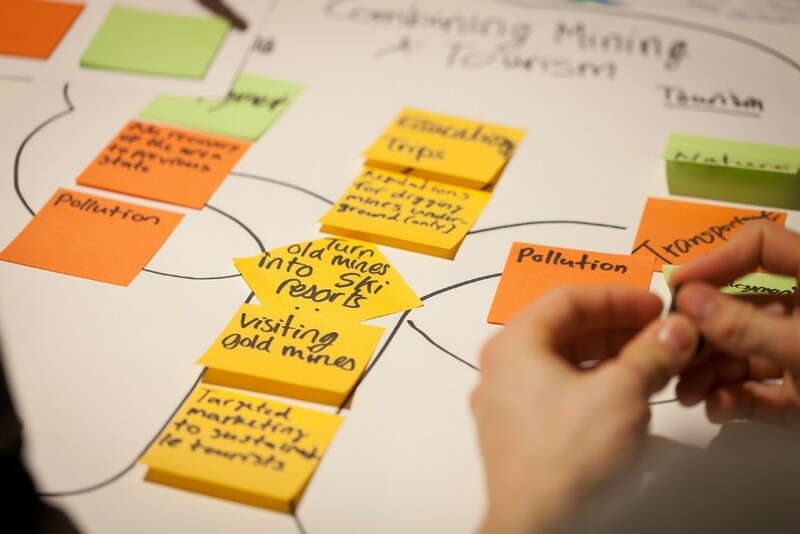 Students then research the root cause of the problems identified, study and better understand the circumstances related to the problem and afterwards they come up with the solution. They learn an actual way and process of how these development projects come about in real life, which, for instance are financed by various EU funding instruments. They learn that all actual projects have very well defined problem that is properly analyzed and which should be solved jointly by all Barents countries in a borderless manner. In these kind of workshops we come to the conclusion that the students with their very fresh and open-minded world view can come up with really relevant, feasible and innovative solutions. It is clear that young people need to be education on cross-border collaboration from the early stages on in their education. It really does not matter where the students come from. Are they local Finnish students or international students. It widens their worldviews even more when they see actual examples of cross-border collaboration and with their ideas make an input in possible future collaboration projects. This year in the Cross-Border Project Management course in addition to the local students there are also students from different parts of the world, such as Russia, Hungary, Vietnam, Nepal, USA, Greece and many other. It was clearly noticed during the workshop jointly implemented with the experts of the funding programme, that all of the students, regardless of their origins become highly engaged and dedicated to activity of finding solution for the problems of the region. The recent workshop during the spring 2018 raised the concerns regarding such issues as transportation, logistics, environmental pollution, education and research mismatch with work life in the Barents region. Students were able to identify the problems beyond just local settings and see wider – Arctic and Barents region and global challenges. Why it should be getting an attention, or is this type of course or approach different from other courses or trainings? Certainly, raising an awareness on regional issues and CBC from an early stage of the education, we educate a generation of future managers, decision makers and region developers, who with this better understanding of cross-border cooperation mindset will be shaping the policies and actions leading to the prosperity of the region. In addition, it was noticed that this leads local and international students towards better vision for their career opportunities and possibly business opportunities on the other side of the border. It makes the Barents region attractive for young people to develop not only their working and person life in the Region but the whole region as such.